With all of Jack Ingram’s success in the recent years, in the city of San Antonio his true star has arrived. Ingram is a true veteran of the music touring circuit in Texas and has been playing for years. His national recognition, which was spurned by mainstream country radio and numerous appearances on TV on stations GAC and CMT, is a recent accomplishment of the past thre or four years. Jack’s hard work and dedication finally brought him to the most premier gig in the city of San Antonio; a headline slot at the SA Stock Show and Rodeo. Ingram had shared the stage with other Texas and Oklahoma based artists in the past in a show called the “Stars of Texas”. But the Feb. 19th, 2009 date was the first time Jack headlined the show with his full band. Many would say that the honor was way over due. Jack played to a capacity crowd of almost 18,000 and gave them a show to remember on the rotating circular stage in the middle of the rodeo arena. 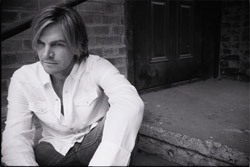 Ingram’s recent accomplishments include number one videos on GAC and CMT, number one singles and records on the charts, award nominations and honors, and a new number one single on the charts titled “That’s a Man”. 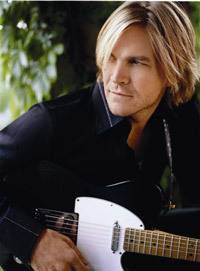 Jack Ingram has truly arrived on the national country scene. In Texas he has always been there and is a staple of country music, but his new found success on a national level is well deserved, and now he can add the San Antonio Stock Show and Rodeo to that long list of accomplishments.